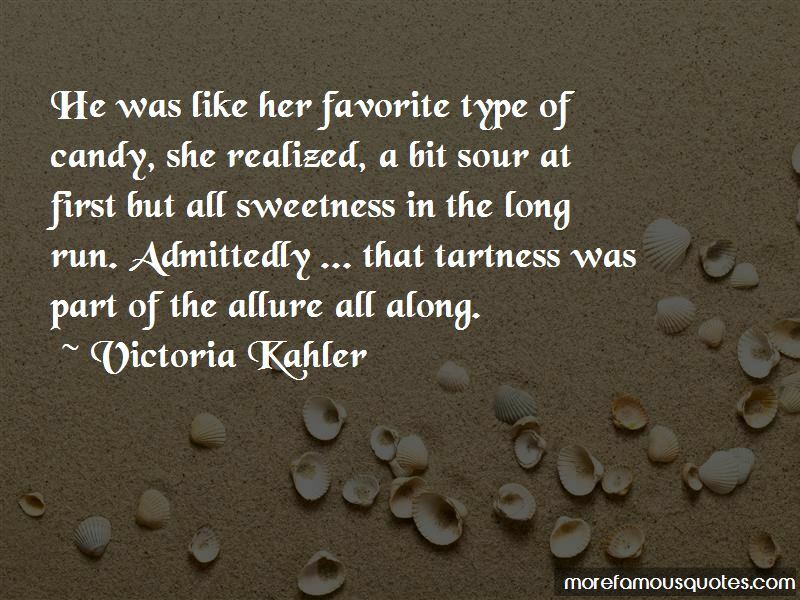 Enjoy the top 31 famous quotes, sayings and quotations by Victoria Kahler. He was like her favorite type of candy, she realized, a bit sour at first but all sweetness in the long run. Admittedly ... that tartness was part of the allure all along. The flames of the luau bonfire burned brightly. Sparks flew into the sky and disappeared before they reached the stars above. Near the horizon, the moon was large and round and flawless as porcelain. Time has no care for a dreamer. You have that look on your face," she whispered mockingly, "that Beast-just-gave-Beauty-a-whole-frickin'-library look and now she's going to spin around like she can read them all at once through osmosis. “The sand was smooth. The damp morning fog had hardened its top layer and the heat of the day had set it so that with every footstep the surface cracked, the crunch almost audible. The heels and balls of their shoes made a path of shallow divots, but it was far easier to walk on than the usual loose and gritty beach. So often they made her think of the phrase "Blood is thicker than water," because at times blood was the only bond they shared and she had to remind herself they were family, because at times it was unbelievable they were even related. She loved them, but she hadn't chosen them. When she awakes, she knows where she is. This place, this ancient place sears one's soul with recognition. 'Heaven' seems an inadequate word for it, but that is what it is known as. 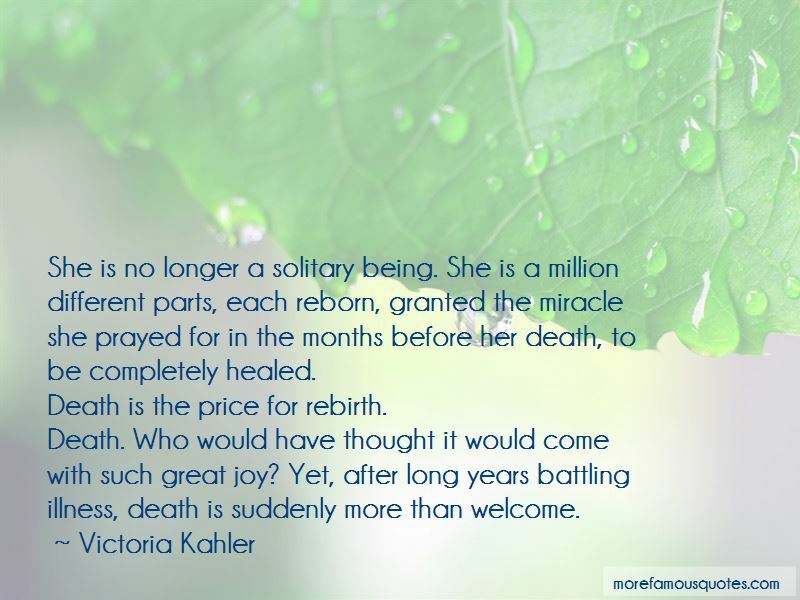 “She is no longer a solitary being. She is a million different parts, each reborn, granted the miracle she prayed for in the months before her death, to be completely healed. Death is the price for rebirth. “And in front of it all are the pearly gates: the proverbial entrance to Heaven that she, in earthly life, thought might not exist. But they are real, not myth or fantasy. As she passes through them, several people greet her. In foreign tongues even, but she understands. Language no longer matter. There are no barriers between herself and others, just love. The gorgeous views seem to go on forever. Ornate structures, mansions, banquet halls, and natural beauty, orchards, gardens. People congregate around huge marble fountains. In the distance are snow-capped mountains of the purist white. She can hear the sounds of rushing rivers and the surf of the ocean at once. “Before them is the most beautiful city she has ever seen, has ever imagined. Golden rooftops shine brightly; windows made from diamonds and rubies gleam; tall buildings reach toward the clouds. She is again overwhelmed, this time with gratitude. 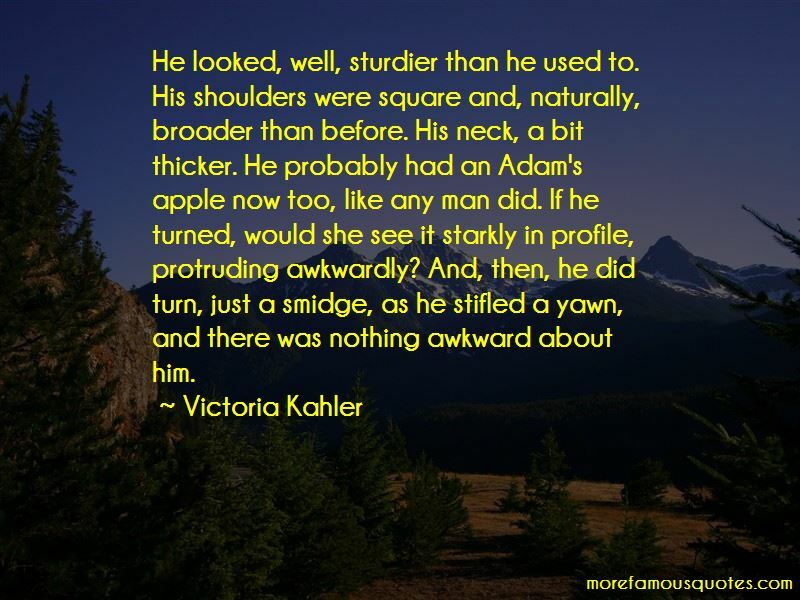 Want to see more pictures of Victoria Kahler quotes? 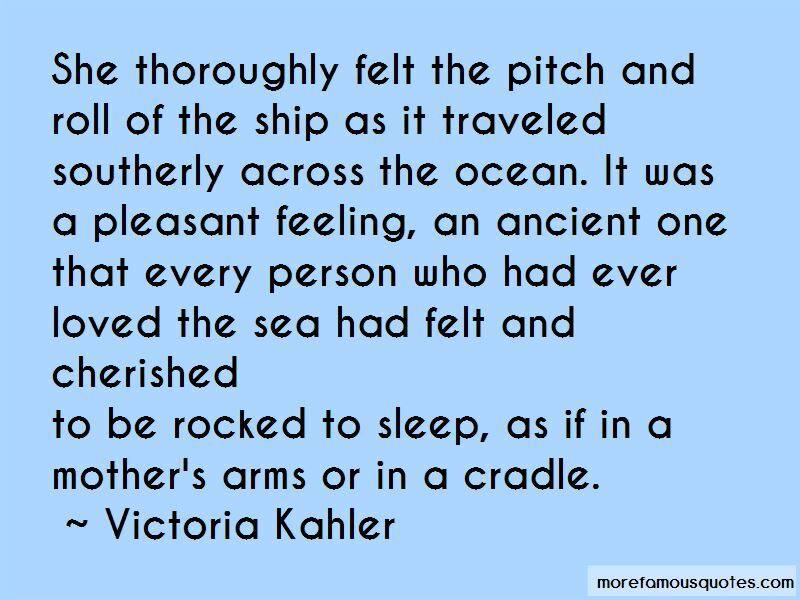 Click on image of Victoria Kahler quotes to view full size.